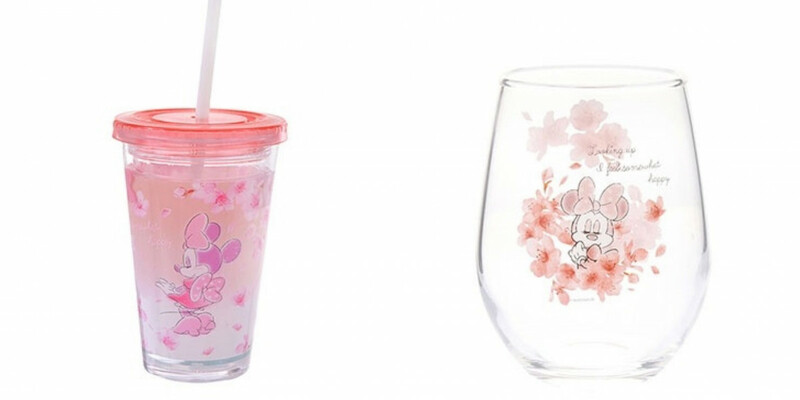 This spring, Disney Store Japan celebrates Japan's cherry blossom season by launching this pretty-in-pink sakura collection. 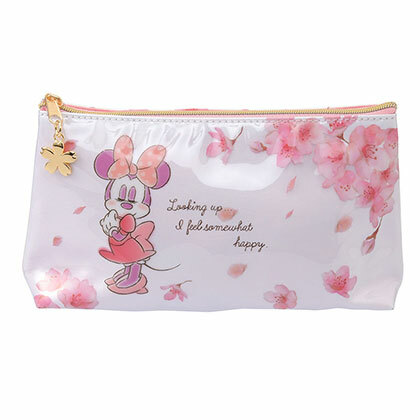 This release features a wide range of products, ranging from plushies and handbags to towels and hand cream. This collection has been launched on its online stores today and we hope you and your wallets are ready for what's about to come. Curious to find out more about this collection? Read on to find out more! 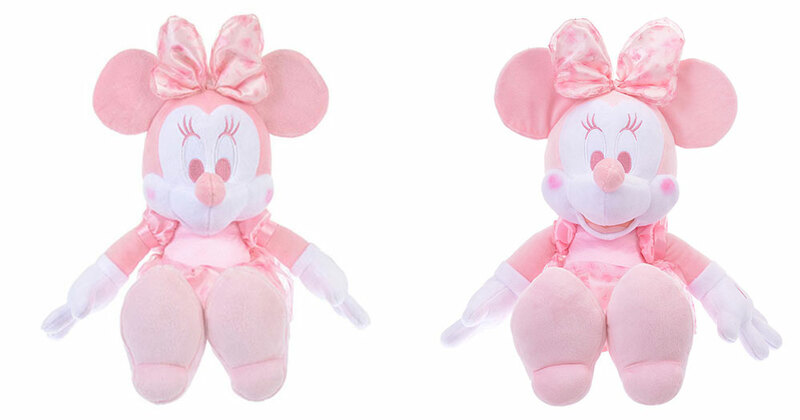 If your love for Minnie Mouse runs deep, this stuffed dolls will be an absolutely lovely addition to your collection. This comes in two different sizes, with the right one being a lot bigger than the plushie on the left. 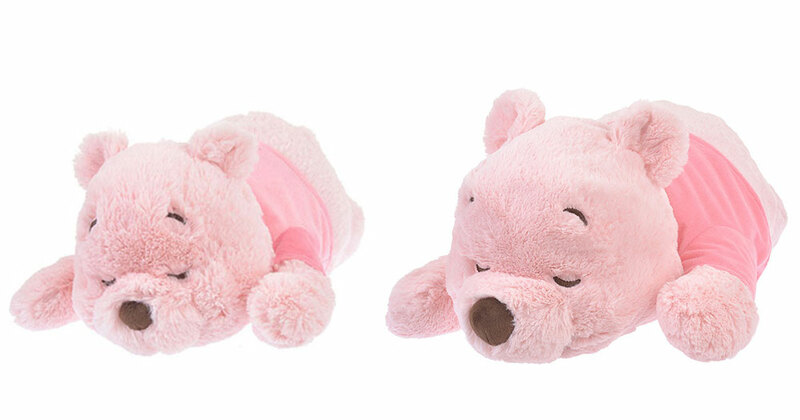 Similar to the Minnie Mouse range, the sleeping pooh on the right comes in a larger size as compared to the one on the left. Either way, it's still lovable! 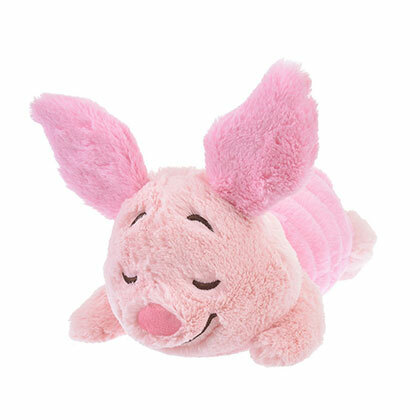 And if you're still not over the crazy release of all things pig this 2019, check out this Piglet stuffed doll! Stuffed dolls may not be a thing for everyone and if those are too much for your liking, opt for these adorable keychains instead! Spruce up your house décor with these home accents. Got an ugly tissue box lying around? Dress it up with this tissue box cover that comes in a lovely shade of pink. And if you're looking for something to spice things up on your vanity, go for this accessory stand. 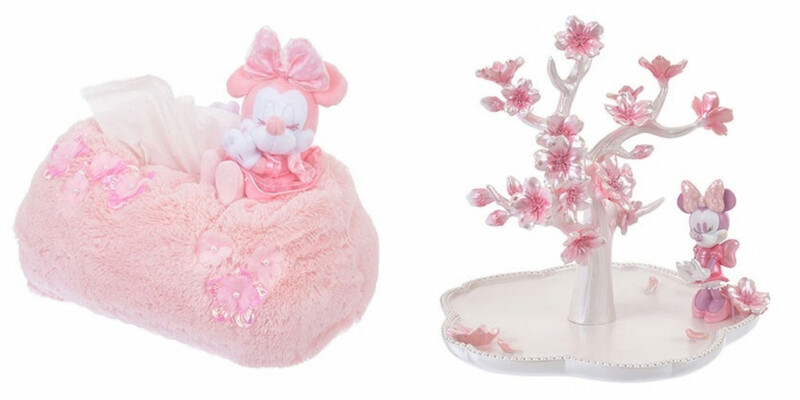 Decorated with cherry blossoms, these two items will be perfect for your home this Spring. Tired of that plain old mug you've been using for months? Change things up by getting these drinkware pieces for yourself. Towels are nice presents to get for a loved one as they make practical gifts. 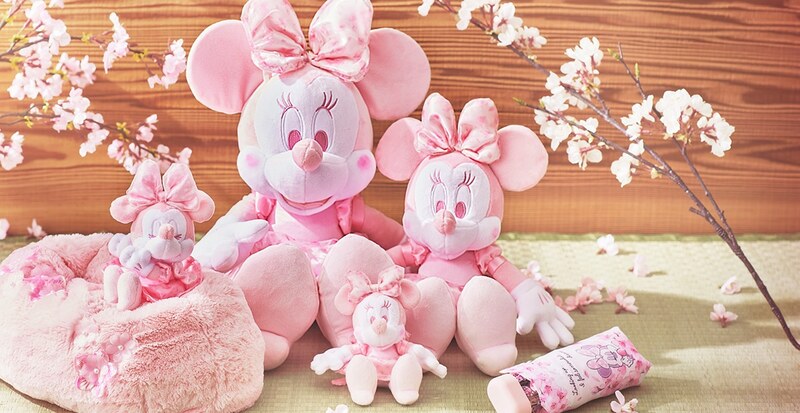 Know someone who loves Minnie Mouse? 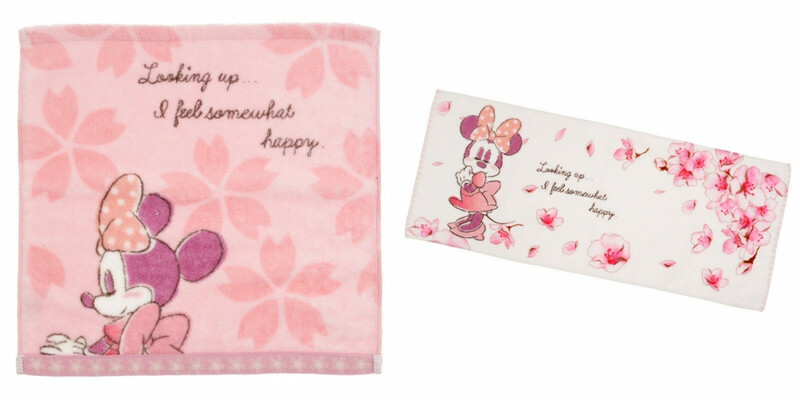 These towels will be the perfect gift! 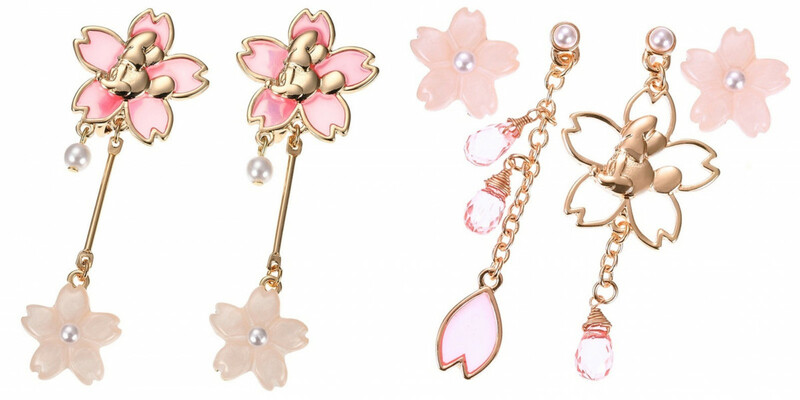 Cute hair ties are one of those things that girls find hard to say no to, especially when it comes to the ones from this Cherry Blossom collection. And if hair ties are no longer your thing, opt for these gorgeous hairpins. Statement earrings will never go out of trend. Have a taste of this timeless fashion trend by grabbing these for yourself. Going on a trip this year and you got a new camera to capture your vacation memories? Keep it safe in this pretty camera bag. Accessorise it with the scarf-like camera strap and you'll be good to go. However, if you're looking for an everyday tote, Disney has got your back. 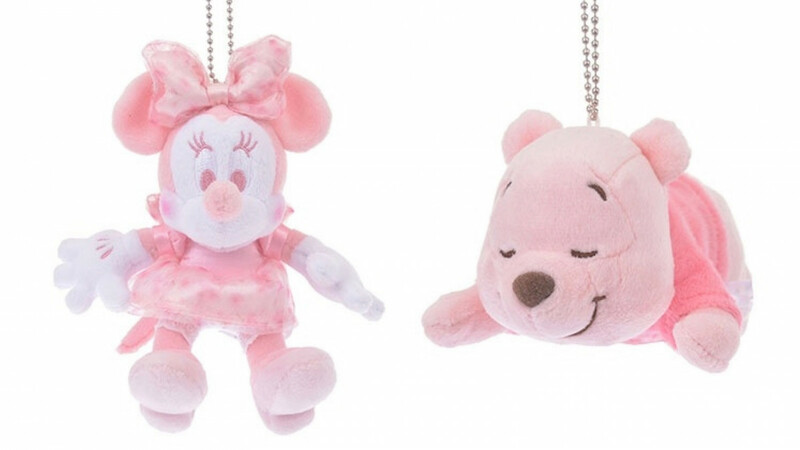 Amp up the look with a Minnie Mouse keychain to stand out from the crowd. It's only the start of the year and your stationery cases are probably still as good as brand new. But who can say no to such a pretty pencil case? We know we can't. 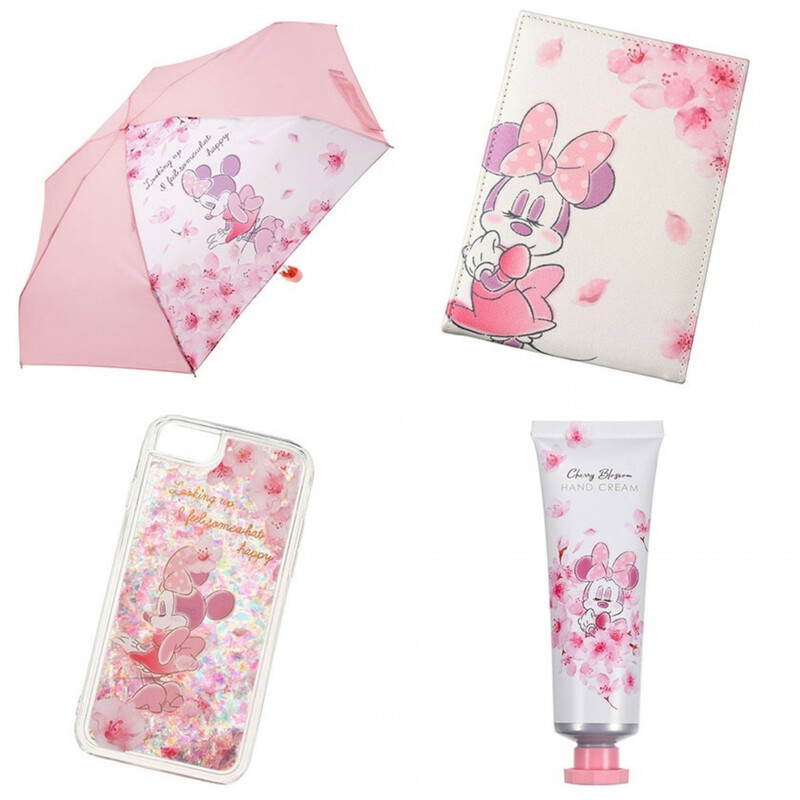 From an umbrella and a pocket mirror to a phone case and a hand cream, Disney Japan has got you covered with this latest Cherry Blossom collection. We hope you are as excited as we are about this launch. Thinking of getting a couple of items for yourself and your loved ones? 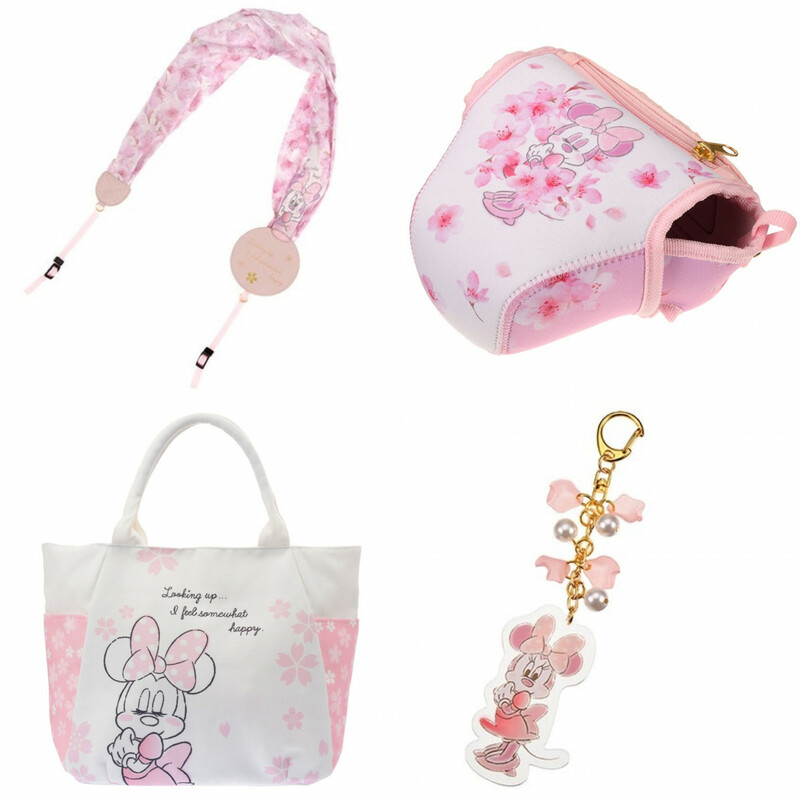 This collection has been launched today on Disney Store Japan! If you're travelling to Japan soon, do take note that these items will reach its retail stores on 1 February 2019. 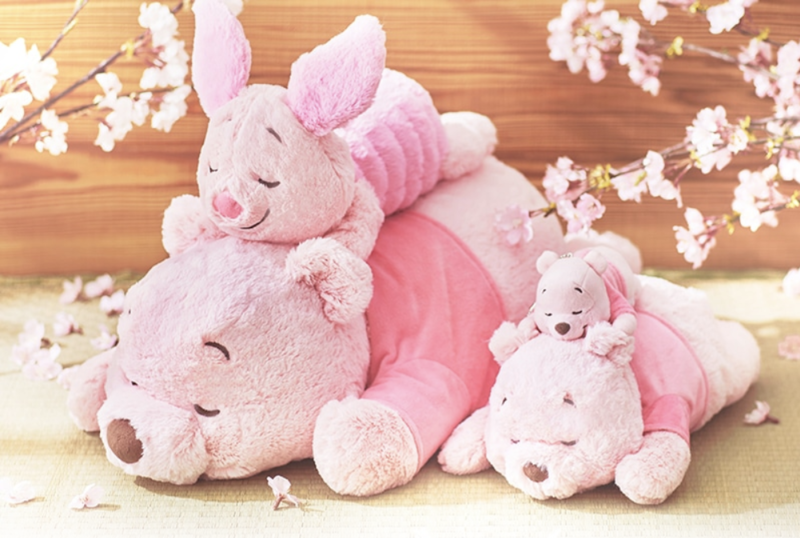 Know someone who is a die-hard fan of Disney characters? Share this post with them!